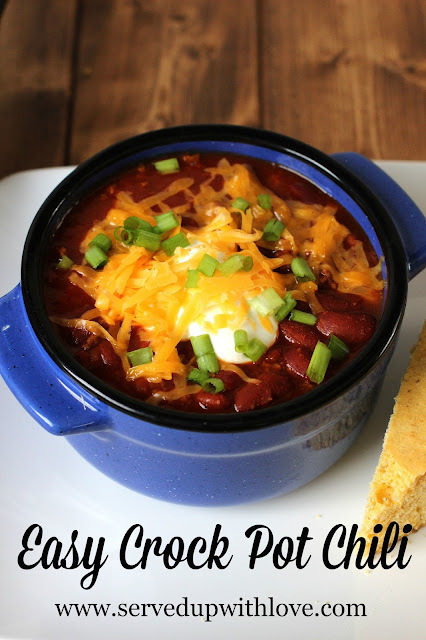 One of my favorites things to make in the crock pot is chili! 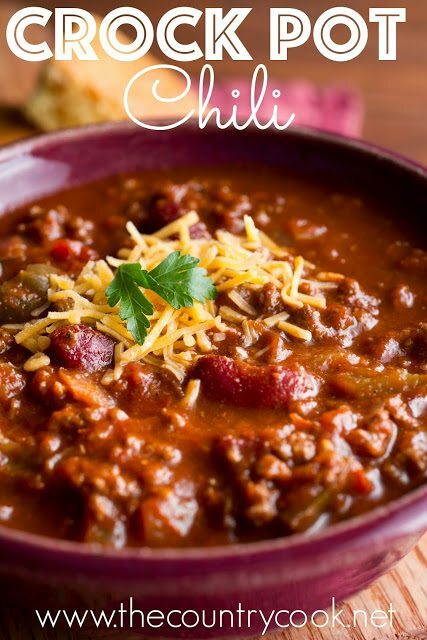 As soon as the weather starts to get a little cooler my mind instantly starts thinking about all those warm and comforting soups, stews, and chili's to warm up our bellies. 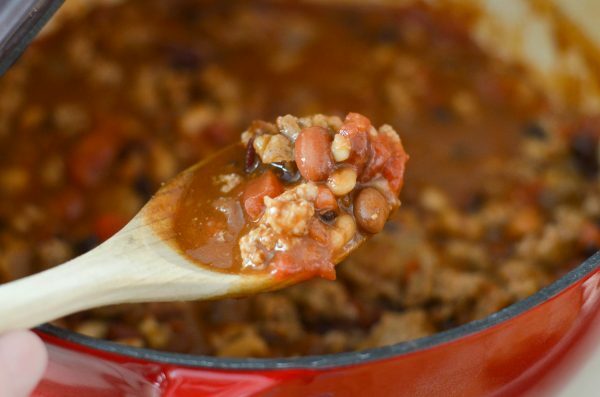 The ease of using the crock pot and the slow cooking infuse so much flavor. And we eat on it for days. I love recipes that we can eat on for several days and I don't have to go to a lot of trouble to get supper on the table. And the toppings!! They are endless!! 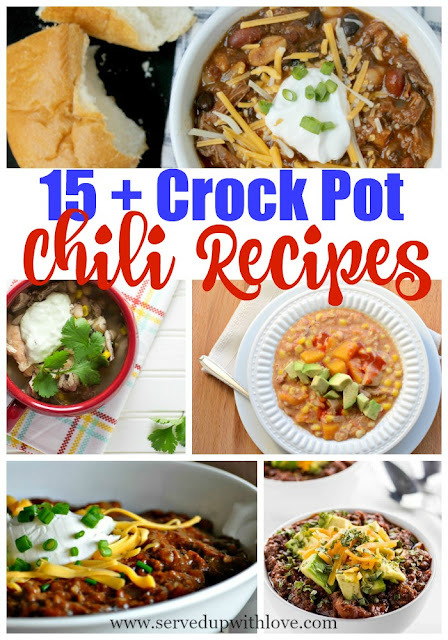 Cheese, sour cream, green onions, corn chips (my personal fave), and so much more. So I decided I didn't have enough different chili recipes to share here so I rounded up some amazingly flavorful and comforting crock pot chili recipes from some of my favorite bloggers to have all in one spot. Enjoy!